So you landed some funding for your business. You finished writing a solid business plan and used it to apply for a small business loan, or perhaps you made a successful pitch to investors. Either way, congratulations! When you built your business plan, you would have included a section that explained how you planned to use the money you were requesting from lenders or investors. This probably looked like a report on “use of funds” (or “use of proceeds,” as it’s sometimes called). It’s a standard part of writing a business plan to get funding. A use of funds report is a simple statement of why you need the funding and how it will help your business. Since there are so many ways to use funding (purchasing equipment or other assets, adding staff, expanding marketing, and so on), a use of funds report can take the form that best meets your needs. It might be a spreadsheet, or it could be a few paragraphs of text. And now that you have that cash in hand, it’s tempting to think that your business plan has done its job and now all you have to do is use the money. But many entrepreneurs fail because of this exact belief. They haven’t quite thought through all the ways their original plan for using their funding will probably change over time, or how to manage their funding while they navigate these changes. Consider this: When you wrote your original business plan, there were things you didn’t know. It’s true for every entrepreneur. No matter how much expertise you have in your field, there are always aspects of running a business in your market that you won’t understand in advance. This is completely fine because you’ll learn as you go. But that learning needs to be captured and acted on quickly, so your company can stay solvent. And this is where doing more use of funds reporting can really help you—not from a planning standpoint, but from a management standpoint. Peter Gregory, chairman and CEO of Green Energy Corp, uses LivePlan to do strategic planning and use of funds management and reporting and is an advocate of doing it early and often. “If you spend the last 10 minutes of every day looking at your actuals and updating your forecast, then you can get your monthly reporting done in as little as 10 minutes,” says Gregory. “If you wait three months to check in with your numbers, then it’ll take more like four hours to build your report. If you wait a year to look at your numbers, you’ll spend three months coming up with a report. If you built your business plan in LivePlan, then you’re halfway to your use of funds report already. You can easily update your forecast, and see a visual comparison between your forecast and actual performance in the Dashboard tab. 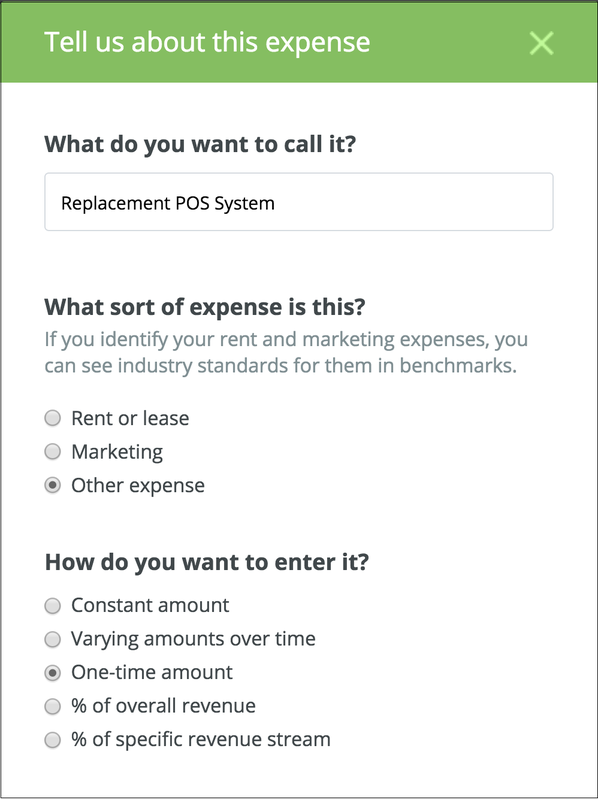 You can even generate reports for your investors or management team any time. You’ll need to do this reporting no matter what kind of funding you’ve taken on—a loan, line of credit, or angel investment. Let’s look at the specifics of use of funds reporting for all three kinds of funding. When a bank loans you money, you aren’t required to formally report back to them on how you’ve used it. But you’ll want to maintain a personal record of what expenditures you’ve made with the funds, and how soon your funds might run out. If you’re using accounting software like QuickBooks Online or Xero, this record will happen as part of your accounting, but if you are not yet using accounting software, you’ll want to keep an accurate record of your spending. If you took on a loan of a specific amount, earmarked for a specific set of purchases, obviously that’s a simple picture—the money comes in, and you spend it on what your business plan said you were going to spend it on. And then you make sure that these expenditures are represented in your forecast. The LivePlan Schedule tab can be very helpful in planning this kind of spending. Major business expenditures, such as buying equipment, often have important deadlines tied to them. It’s also possible that the loan you’ve received has deadlines attached to it as well. 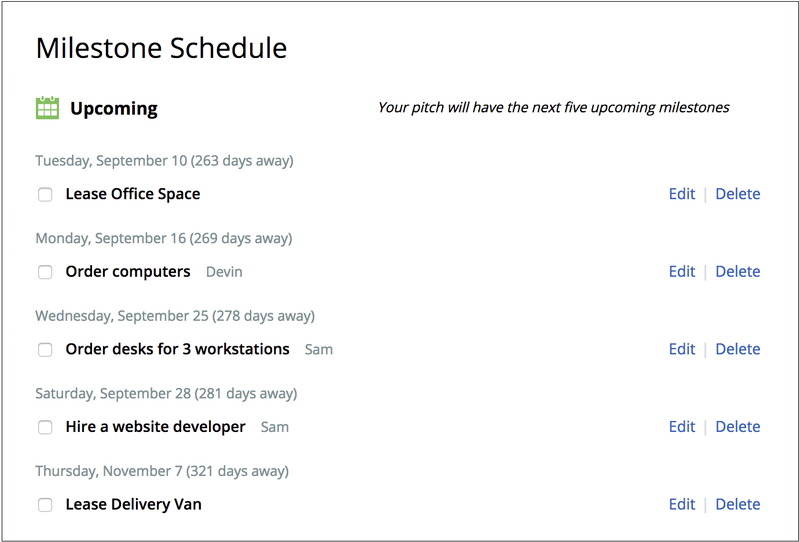 You can create milestones with due dates in LivePlan for these deadlines, and that helps you and your team stay on track. Another common type of lending small businesses use is the line of credit—a revolving loan that you can draw on and pay back as needed. When you’re managing a line of credit, LivePlan can not only help you track your use of funds, but it also helps you predict exactly when you’ll need to use that line of credit to bridge future gaps in your cash flow. It all begins with that business plan forecast. When you take on a line of credit, you’ll first enter it in your forecast. Then you’ll make monthly predictions about your spending, entering them as dollar values in each month. As the months progress, check in on these values and make sure they represent your actual spending picture. Doing these regular checks will keep your cash flow forecast up to date, giving you a more accurate picture of what your cash will look like in upcoming months. A good entrepreneur regularly updates her forecast, so it reflects any unexpected expenses (or earnings) month to month. As Peter Gregory says, “Keep in mind that good news, as well as bad, can affect your cash flow.” A large, unplanned expense can cause you to run short of cash down the road. But a large, unplanned revenue event creates an opportunity to invest in growth. Either way, the sooner you know what’s happening, the more effectively you can react. By staying in touch with your forecast in this way, you’ll be much better able to see your future. These are the months when you’ll plan use your line of credit, and now you can see the amount you’ll be using. With this visibility, you can plan your spending effectively. Not only that, you’ll be able to see what funding you might need a year from now, and that gives you time to find it. The worst moment to discover that you’re running out of cash is the moment when you’re actually running out of cash. When you were pitching to investors, it’s likely you showed them your early use of funds report, so they could understand how you were planning to spend the money. Now that you have an investor, you’ll need to submit a use of funds report to them regularly. The process for preparing these reports is the same as the process we recommend above for managing a loan or line of credit. The only difference is, in this case, you’ll need to make a presentation of your findings to the investor. Most investors will want to see a set of projected financial statements—profit and loss, balance sheet, and cash flow. You can print these from the Forecast tab in LivePlan. Your investor will also want to see how you’re reacting to the unexpected events that pop up as your company operates. Many new entrepreneurs think that their initial funding is all they’ll need and that the business will be funding itself by the time that borrowed or invested cash is spent. In reality, however, a business will likely need to seek funding more than once it its lifetime. According to a 2017 Federal Reserve survey of small businesses, over 60 percent needed additional funding to either grow or resolve business challenges. There could be a temporary dip in your market, and you’ll need bridge cash. Or there may be times when you’re ready to grow the company in a new direction, and you’ll need an infusion of cash to ramp up. This is another reason that good use of funds reporting is so important. The more you can show that you’ve used your funding well to make a positive impact on your company, the more attractive your business will look to lenders and investors in the future.